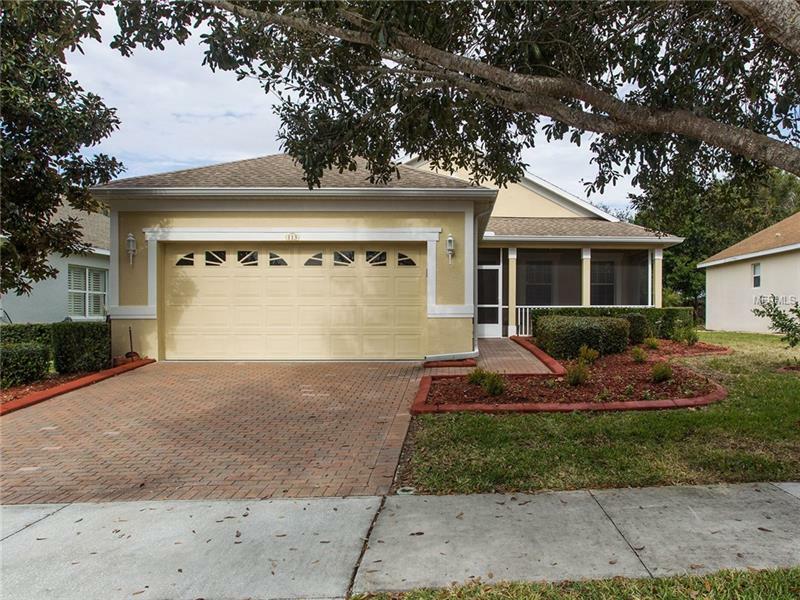 This is your chance to own in one of Lake County's nicest 55 plus communities. 2 bedroom 2 bathwith den. This home has been totally redone with new appliances all new tile home repainted on inside. Open floor plan living room dining room combo with vaulted ceilings. Kitchen has room for kitchen table. The master was built to have special cutout for dresser. Bedrooms are split for everyone's privacy. There are no rear neighbors from your enclosed lanai with thermal pane windows.The club house is 57000 sq. ft. with restaurant ball room exercise room card rooms tennis courtsindoor & outdoor swimming pool. So what are you waiting for.